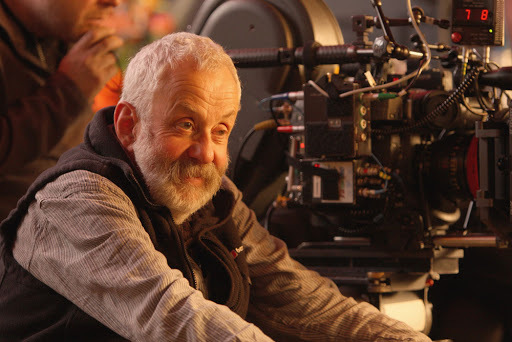 Watching acclaimed British film director Mike Leigh being interviewed last week, I couldn’t help but pontificate on his unique directorial style. Leigh uses lengthy improvisations developed over a period of weeks to build characters and storylines for his films. He starts with some sketch ideas of how he thinks things might develop, but does not reveal all his intentions with the cast who discover their fate and act out their responses as their destinies are gradually revealed. Leigh’s vision is to depict ordinary life, “real life,” unfolding under extenuating circumstances. He makes courageous decisions to document reality.The critical scenes in the eventual story are performed and recorded in full-costumed, real-time improvisations where the actors encounter for the first time new characters, events or information which may dramatically affect their characters’ lives. Final filming is more traditional as definite sense of story, action and dialogue is then in place. The director reminds the cast of material from the improvisations that he hopes to capture on film. With all this discussion about the relative merits of another film inspired EFL teqnique (teaching unplugged aka Dogme), I wondered if and how Leigh’s unique method might be translatable to the EFL world. Firstly, Leigh builds his storyline through improvisations with his actors. He lets the characters build the narrative. If we see the teacher as a director and the students as actors, then I think we can see the story as a curriculum. Rather than arrive in the classroom with a prescribed plan, detailing the students classes for the next few weeks, the teacher and the students (led by the students) make their own curriculum over the the length of the course. Or we could see it as an individual lesson with the same approach. Leigh then doesn’t reveal the overall story to his cast until the project is finished. That’s part of the reason why his films can seem so naturalistic, because the actors are actually surprised or laughing or crying as opposed to them pretending to be. As teachers, the idea of surprising our students and not telling them what we are doing can sound a bit troubling. I certainly don’t like the idea of keeping the students in the dark. Consequently, if students need to know where they are going, how they are getting there and why, adopting Leigh’s approach seems reckless and potentially harmful. It risks aimlessness, and a lack of direction which could easily lead the students into wondering exactly why they are there and if they are improving. However, I think it’s possible to hold back some information from them without making them ignorant. For example, I think most teachers don’t feel the need to explain the teaching methodology behind each activity, as normally the learners having a sense of satisfaction will suffice. The other important thing to remember is that the process is not without a direction, or indeed, a director. If the teacher has objectives, even if they are fairly loose, then he can create signposts along the way so the students know that learning is taking place, just as Leigh knows the kind of film he wants to make without deciding upon the specific details of the narrative, and that at various times in the filming, his actors will begin to understand how the story is developing. The scenes are then filmed in costume, where, as I mentioned, the actors can discover new information about the story and other characters as the scene progresses. I like the idea of our students, taking part in the class, and as it happens, being pleasantly surprised by the activities they can do, the language they are learning and using and the skills they didn’t realise they had. A little utopian, perhaps, but with a the right attitude on both the part of the learner and the teacher, it is entirely possible. That sense of surprise, which is invaluable for motivating the students, is only possible if you hold something back and let the students discover it for themselves. Finally, for Leigh, the result of this approach is to create an engaging story. His films do not feel experimental to the audience, as they follow a fairly traditional narrative structure. In fact audiences should find themselves identifying with the events as they unfold, especially for a British audience. In this way, the teacher doesn’t have to rewrite the rule book in terms of how a lesson operates. Tried and tested activities could still be used if they fit the main aims. He could even use a coursebook if he likes! Leigh’s overall objective is to capture reality, in all it’s tragedy and comedy. While I’m not looking to include too much tragedy in my classes, I am certainly interested in reality. By using this naturalistic approach, the teacher can create student centred classes by collaborating on the introduction of authentic and engaging subjects for the students. I’m not sure I’d describe that as courageous, but I do consider it essential. So these are just some random thoughts on how Mike Leigh’s style could work in a TEFL setting. This is not some kind of manifesto for a movement (Leighism? That’s a terrible name.) Perhaps it’s poorly thought out and pretentious. I’m sure there are holes in it, so I’d love some feedback, and if you have any other ideas for film inspired teaching movements, I’d love to hear them too. Previous Previous post: Back to school. Next Next post: How do they get time?